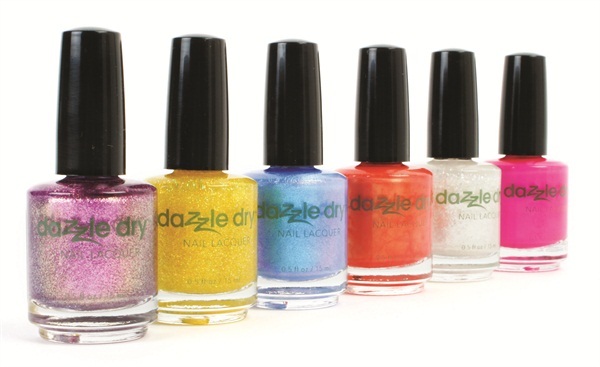 Dazzle Dry introduces a prismatic and mesmerizing collection called Over the Rainbow. The six new colors feature the rock-hard five minute air-dry time without the need of UV or LED light. New shades include Ask the Wizard, Bluebirds Fly, Cyclone, Munchkin Madness, Poppy Poison, and Yellow Brick Road. For more information, visit Dazzle Dry.